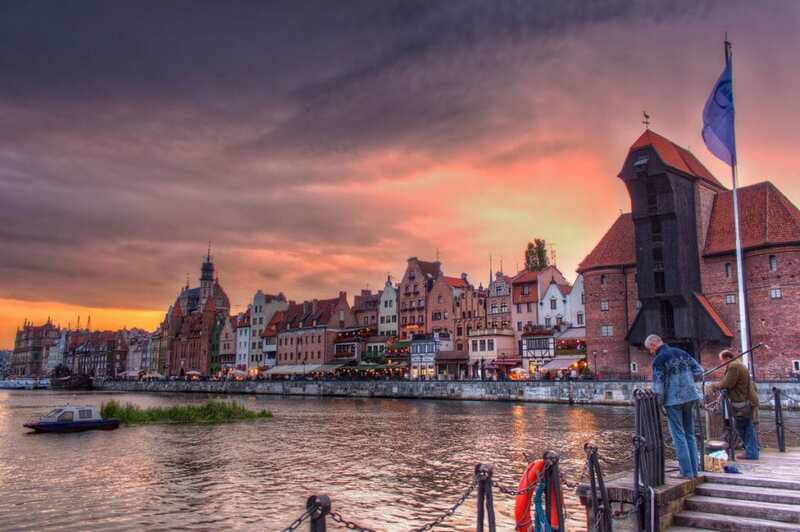 Gdańsk is such a magnificent town and with all the water around one can surely get the idea to go fishing in Gdańsk. I was very lucky with the weather. The clouds caused a great sunset but no ten minutes later it started pouring. But in other ways as well, it is impossible to capture this scene a second time.